The European Extremely Large Telescope (E-ELT) is motivated by a wide range of scientific challenges encountered by modern astronomy. This section of the E-ELT web pages aims to provide information about all aspects of E-ELT science as well as related activities at ESO (see links to the right →). 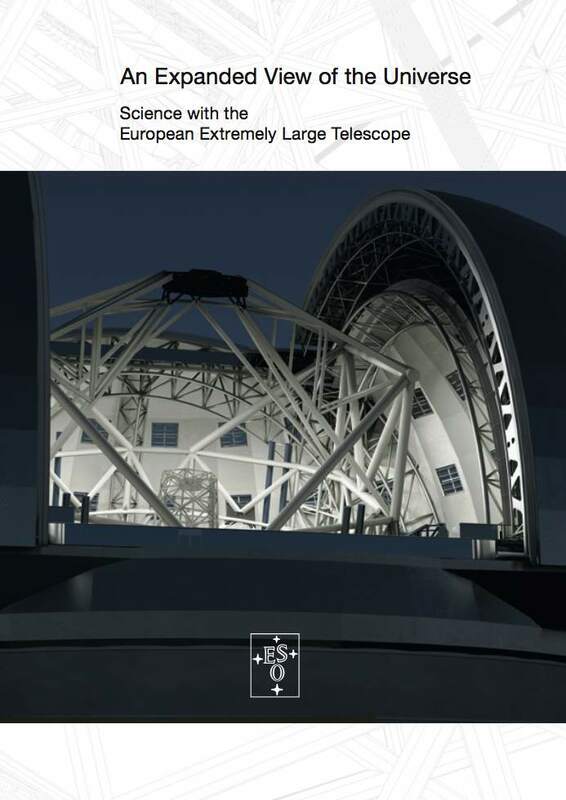 The book "An Expanded View of the Universe – Science with the European Extremely Large Telescope" summarises the key science cases for the E-ELT. the E-ELT Science Office team at ESO, that developed the Exposure Time Calculators and ran a large number of detailed performance simulations. Printed copies of the book are available on request. The science case for the European Extremely Large Telescope (E-ELT) is drawn from many areas of astronomy and it covers a huge range of topics: from our own solar system to extra-solar planets, from nearby galaxies to the furthest observable objects at the edge of the visible Universe, from fundamental physics to cosmology. The following are a few selected examples which highlight areas where the E-ELT is likely to provide us with particularly dramatic advances in our understanding of the Universe around us. For more detailed information and a complete description of the Science Case please consult these documents. Discovering and characterising planets and proto-planetary systems around other stars will be one of the most important and exciting aspects of the E-ELT science programme. 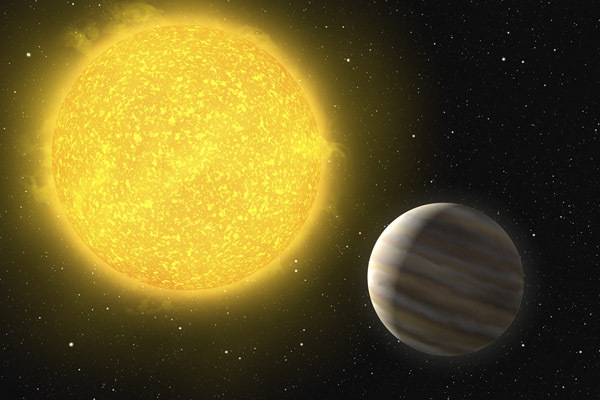 This will include not only the discovery of planets down to Earth-like masses using the radial velocity technique but also the direct imaging of larger planets and possibly even the characterisation of their atmospheres. The E-ELT will be capable of detecting reflected light from mature giant planets (Jupiter to Neptune-like) and may be able to probe their atmospheres through low resolution spectroscopy. It will also enable us to directly study planetary systems during their formation from proto-planetary discs around many nearby very young stars. Furthermore, observations of giant planets in young stellar clusters and star forming regions will trace their evolution as a function of age. Thus, the E-ELT will answer fundamental questions regarding planet formation and evolution, the planetary environment of other stars, and the uniqueness (or otherwise) of the Solar System and Earth. 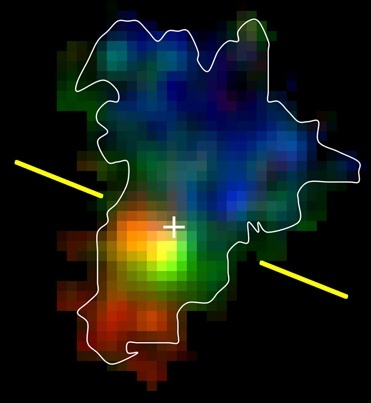 The E-ELT offers the exciting prospect of reconstructing the formation and evolution histories of a representative sample of galaxies in the nearby Universe by studying their resolved stellar populations. A galaxy's stellar populations carry a memory of its entire star formation history, and decoding this information offers detailed insights into the galaxy's past. However, studying stellar populations requires the capability of resolving and measuring individual stars and so up until now such studies have been limited to our own Galaxy and its nearest neighbours. 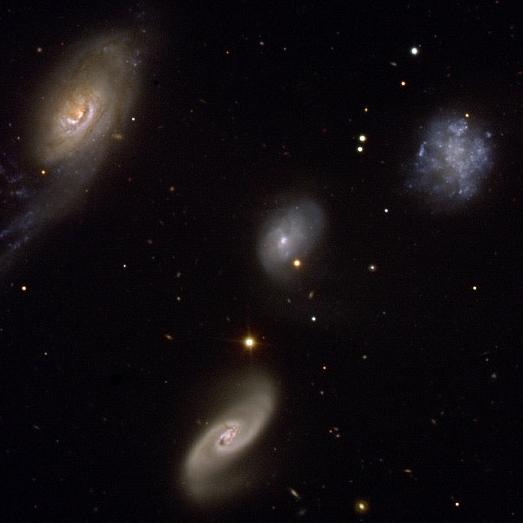 In particular, no examples of large elliptical galaxies are within reach of current telescopes for this type of study. With its superior resolution and photon collecting power the E-ELT will allow us to perform precise photometry and spectroscopy on the stellar populations of a much more representative sample of galaxies, reaching out to the nearest giant ellipticals at the distance of the Virgo cluster. Thus, the E-ELT will provide detailed information on the star formation, metal enrichment and kinematic histories of nearby galaxies, showing us how they were formed and built-up over time. The E-ELT will pursue a vigorous scientific programme of exploring the formation and evolution of galaxies in the high redshift Universe. Although a satisfactory scenario describing the hierarchical assembly of dark matter halos is now well established, our physical understanding of the build-up of the baryonic component of galaxies is only fragmentary and fundamentally incomplete. With the enormous sensitivity and resolution gains of the E-ELT we will be able to peer beyond our present horizons and uncover the physical processes that form and transform galaxies across cosmic time. The E-ELT will provide us with spatially resolved spectroscopic surveys of hundreds of massive galaxies all the way out to the redshifts of the most distant galaxies presently known, supplying us with the kind of detailed information on their stellar masses, ages, metallicities, star formation rates and dynamical states that is currently only available for low redshift galaxies. The E-ELT will also push back to the crucial earliest stages of galaxy formation, right at the end of the "dark ages", by identifying the galaxies responsible for the reionization of the Universe and by informing us of their basic properties. Through these observations the E-ELT will drive the transition from the current phenomenological models to a much more physical understanding of galaxy formation and evolution. The discovery that the expansion of the Universe has recently begun to accelerate, presumably driven by some form of dark energy, was arguably one of the most important as well as mysterious scientific break-throughs of the past decade. 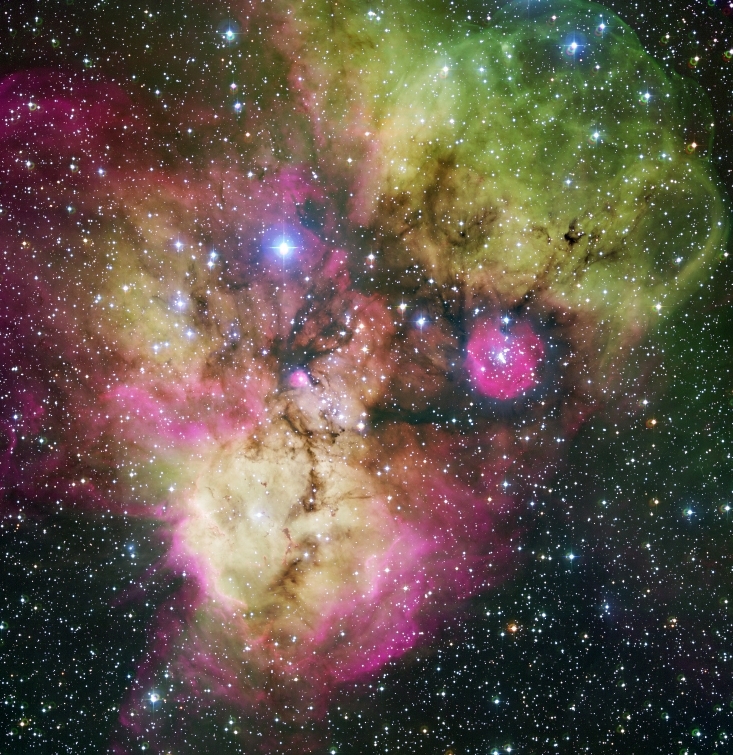 The E-ELT will help us to elucidate the nature of dark energy by helping to discover and identify distant type Ia supernovae. These are excellent distance indicators and can be used to map out space and its expansion history. 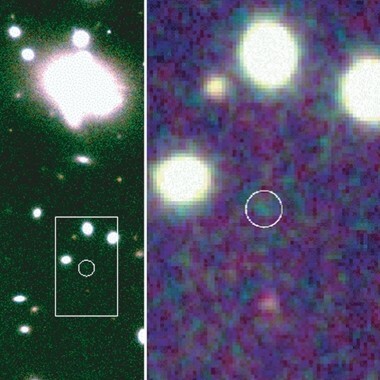 In addition to this geometric method the E-ELT will also attempt, for the first time, to constrain dark energy by directly observing the global dynamics of the Universe: the evolution of the expansion rate causes a tiny time-drift in the redshifts of distant objects and the E-ELT will be able to detect this effect in the intergalactic medium. This measurement will offer a truly independent and unique approach to the exploration of the expansion history of the Universe. The E-ELT will also search for possible variations over cosmic time of fundamental physical constants, such as the fine-structure constant and the proton-to-electron mass ratio. An unambiguous detection of such variations would have far-reaching consequences for unified theories of the fundamental interactions, for the existence of extra dimensions of space and/or time, and for the possibility of scalar fields acting in the late Universe.